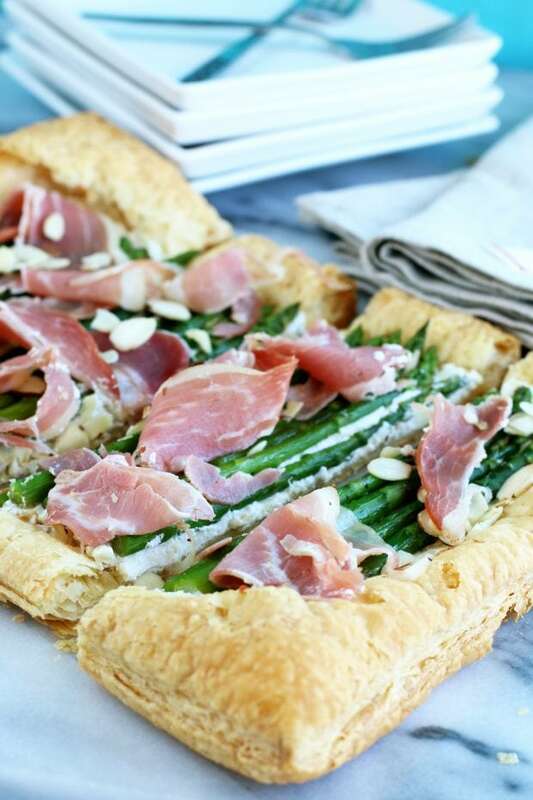 An Asparagus Prosciutto Goat Cheese Puff Pastry Tart is the ideal appetizer to celebrate spring with. 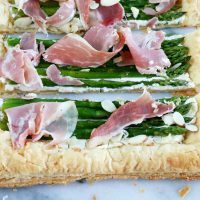 The combination of tangy goat cheese, savory prosciutto and crisp tender asparagus is bright, light and a delightful opener for any meal. You won’t believe how easy it is to whip up! Springtime seems to be the time of year when things start to ramp up again. After the lull after the holidays, the sun is out, the weather is changing and the flowers are blooming. Suddenly everyone wants to get together for picnics, cocktail parties and so much more! That whole “everything comes back to life in Spring” thing works for us humans too, obvi. With everything ramping up right now (not to mention planning a wedding that’s only a month or so out, and serving on a longggggg jury), I am currently in search of any easy recipe I can get my hands on. 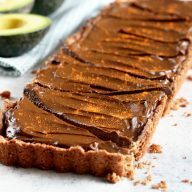 Forget messing with from scratch things this week – I am way too busy to bear it and so if I am being asked to bring something to share at a friend’s house, you can bet it’s going to be this oh-so easy tart. 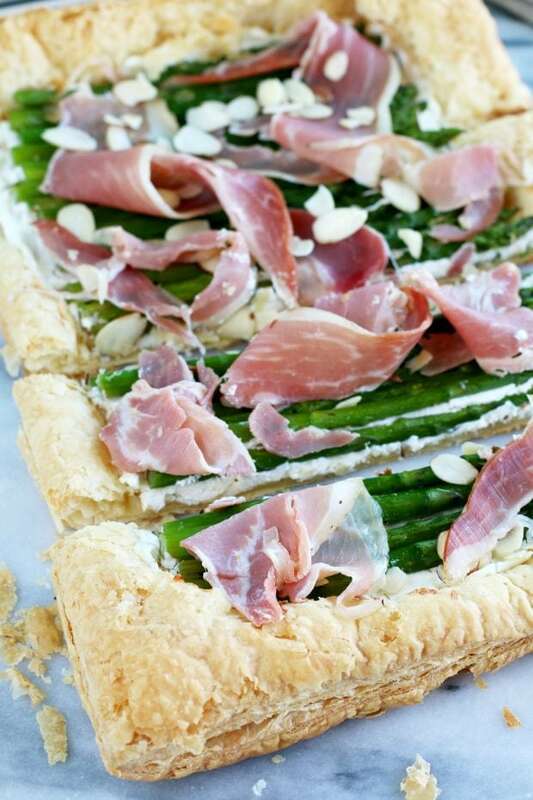 The asparagus prosciutto goat cheese combination piled on top of puff pastry is one that simply scream spring to me. I am a HUGE asparagus nut. I will seek it out at all times of year and when it’s out of season, I tend to get a little sad that I am not incorporating it into our weekly menu at home. I love grilled asparagus, campfire asparagus and everything in between, but if you haven’t tried it on a tart spread with goat cheese, you are seriously missing out. The tart and tangy goat cheese brightens up the crisp asparagus, and the salty, savory prosciutto comes in to mellow everything out in the best way. 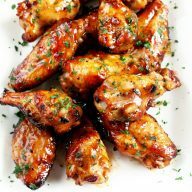 The recipe itself is unbelievably easy to pull together, only requiring 10 to 15 minutes of active cooking time. In only 35 minutes, you’ll have a fresh and vibrant appetizer that looks absolutely stunning. 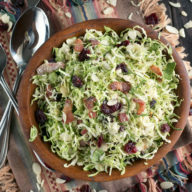 It also makes for a great addition to your healthy salad for lunch as a little treat! is one of the more reliable baking sheets that I have come to make a standard in my kitchen. is just the right size to fit in the baking sheet above and will ensure that your tart comes off without getting stuck! is the large pot I use for everything from boiling vegetables to pasta. 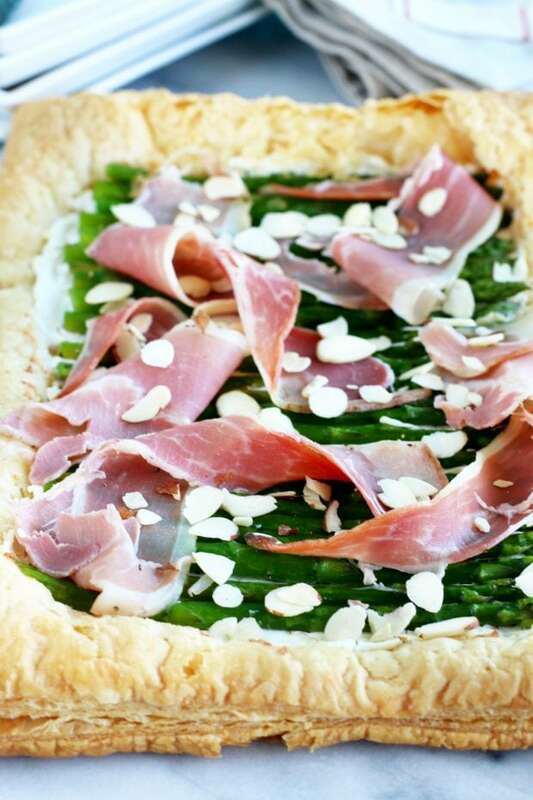 Pin this Asparagus Prosciutto Goat Cheese Puff Pastry Tart recipe for later! 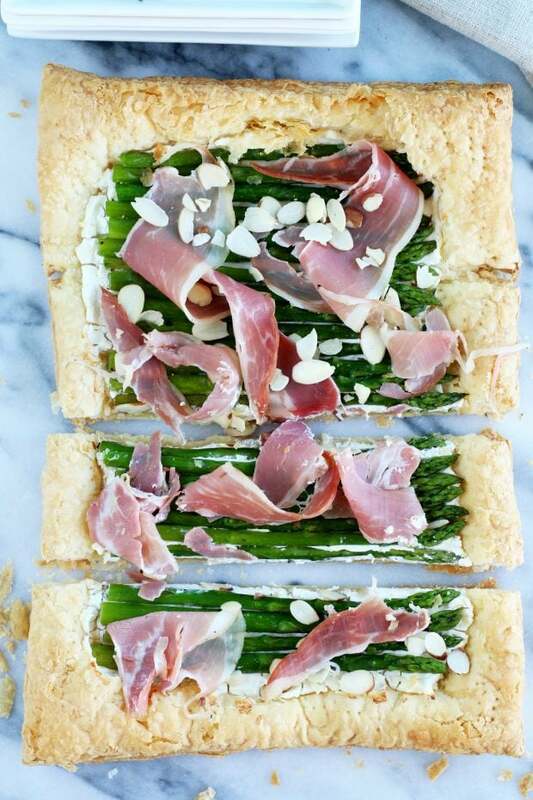 The combination of asparagus, goat cheese and prosciutto in this oh-so simple start is the perfect celebration of spring! baking sheet and prick all over with a fork. Bake for 12 to 14 minutes until light golden brown. While puff pastry is baking, bring a large pot of water to a boil. Add asparagus and cook for approximately 2 to 5 minutes, until bright green and just tender. Drain and add immediately to an ice bath to stop the cooking. Remove asparagus from water and pat dry with paper towels. Add asparagus to a medium bowl and toss with olive oil. Season with salt and pepper. Set aside. Stir together goat cheese and lemon juice in a bowl until it turns into a soft spread. Once the pastry is done pre-baking, spread an even layer of the mixture on the pastry. Line asparagus spears on top in an even layer. Bake for 15 minutes. Remove from oven. 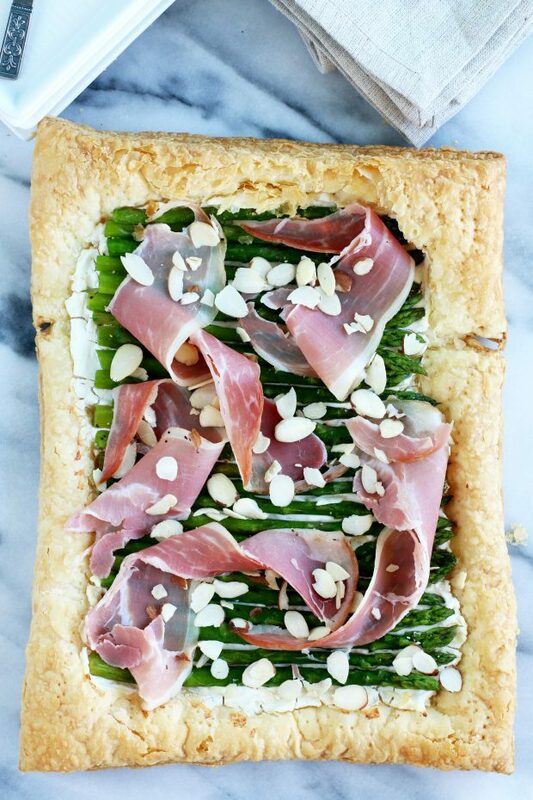 Top with sliced prosciutto and sliced almonds. Serve immediately.